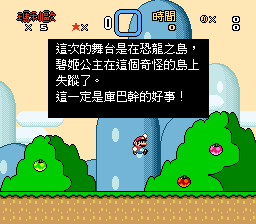 Super Mario World is a side-scrolling platform game developed and published by Nintendo for the Super Nintendo. 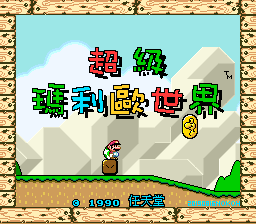 Here is a Traditional Chinese translation for the Super Nintendo title, Super Mario World. NOTE: Unlike other translations, you should patch this to a Japanese ROM.